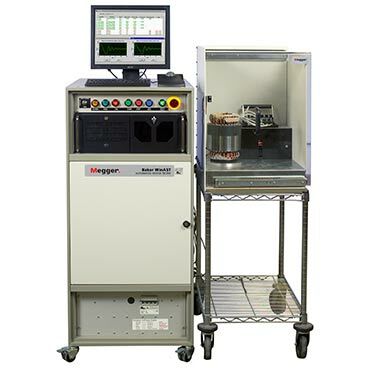 Megger Baker Instruments designs and manufactures electric motor test systems for original equipment manufacturers (OEMs) that help ensure their motors, generators and coils meet or exceed the quality expectations OEMs set with their customers. Baker motor quality control (QC) systems include the Baker WinAST automated stator tester, the Baker HV WinAST and the Baker WinTATS traction armature test system. Each incorporates the most effective electric motor test processes into a single automated instrument and can be customized to meet the specific testing needs of a given manufacturer.